A 36-year-old director of university entrance exam preparations at a Florida school catering towards elite athletes is at the centre of a US college cheating scandal. The investigation has ensnared Hollywood actresses, business executives and others representing what prosecutors called a "catalogue of wealth and privilege". Mark Riddell, whom prosecutors said in a news conference was "just a really smart guy", is accused of taking college admissions tests or altering answers on behalf of high school students. Mr Riddell, described in a job profile as a Harvard University graduate and former professional tennis player, is charged with fraud and money laundering in the nationwide case, and will go before a judge in April. "He didn't have inside information about the answers," said Andrew Lelling, the US attorney for Massachusetts. "He was just smart enough to get a near perfect score on demand or to calibrate the score." According to a criminal complaint, Mr Riddell conspired with William "Rick" Singer, 58, from 2011 to February 2019 to either correct students' answers to the SAT or ACT (US college-entrance tests) or sit the exams for them at a cost of $10,000 (£7,600) per test. "Singer would discuss with his clients what kind of score they were looking for," said Mr Lelling on Tuesday. Mr Lelling, the lead prosecutor of Operation Varsity Blues, said that students who had taken the test on their own had to be careful not to improve it too greatly on the second attempt so as not to "invite scrutiny". "So Singer would discuss with parents what kind of score was impressive but not too impressive, and then would instruct Riddell to attempt to get that score. And he was just good enough to do it." Court filings do not state how many times he allegedly did this, but allege it was done for children from 14 families, including the daughter of actress Felicity Huffman. Documents list one occasion when he flew to Houston to take an exam in place of a student who had fallen ill. According to the charges, the parent provided Mr Riddell with a sample of the child's handwriting to imitate on 13 July 2018. Separate charging documents show that Beverly Hills-based marketing CEO Jane Buckingham, 50, sent a handwriting to sample to Singer on the same date. "Good luck with this," she said, attaching the sample of her son's writing, after earlier saying "he has not great writing". A test administrator, who was allegedly bribed with $5,000, gave the exam to Mr Riddell who took it in a hotel room. Mr Riddell, court documents show, later called Singer to predict that he had scored 35 out of 36. He was right. 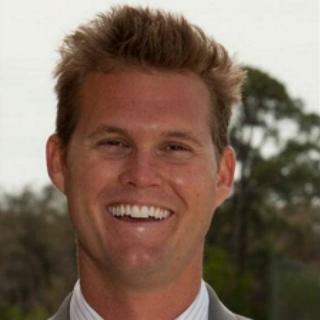 Mr Riddell is the director of college entrance exam preparation at IMG Academy, a boarding school in Bradenton, Florida. A cached biography of him, which has since been removed from the academy's website, shows he has worked there since 2006 and studied there in high school. The IMG Academy bills itself as "the world's largest and most advanced multi-sport training and education institution". On the profile page, he is described as a Harvard University graduate and former Division 1 NCAA tennis player. It says he "assists thousands of students in gaining admission to top American universities such as Stanford, Duke, Columbia, Dartmouth, University of Chicago, and many other notable institutions". 🚨Expansion continues at @imgacademy!🚨The Academic Center is set to break ground next week! "His knowledge of test preparation, tutoring prowess, athletic background, and experience as a former IMG Academy student make him an important mentor for IMG Academy students," the website read. In a statement on Tuesday the school said Mr "Riddell has been suspended indefinitely as we investigate this matter." US prosecutors are asking that Mr Riddell pay $447,147.63 if found guilty.